GiD runs in parallel (shared memory) when meshing unstructured and structured volumes. 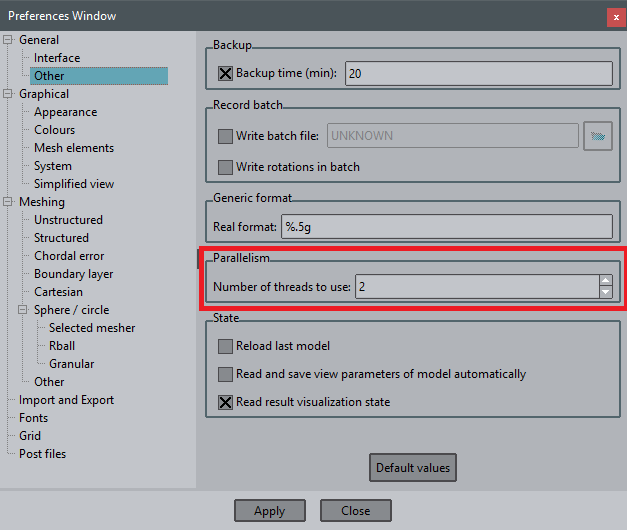 Number of threads to use can be set in the preferences window. Just go from the top menu to Utilities->Preferences, select the General->Other branch and modify the Number of threads to use option.